Buy one Vigor Labs CRACKED ENERGY Pre-Workout (30 caps) and get one free for $15 at A1Supplements. This is the lowest price that we saw for 2. Deal Categories: Coupons and Pre Workout Products.Stores: Alpha Phlyte Coupons & Reviews. to score 15% OFF any order on the Alpha Phlyte / PhilliGainz web site including on the company’s Omgea Sanktion Pre Workout. 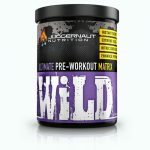 Juggernaut Nutrition Wild Pre Workout Coupon 20% OFF! Deal Categories: Coupons and Pre Workout Products.Stores: Juggernaut Nutrition. 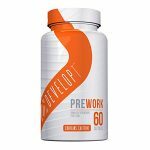 The price for Developt PreWork (60 caps) drops all the way from $35 to $2.99 at Supplement Hunt .